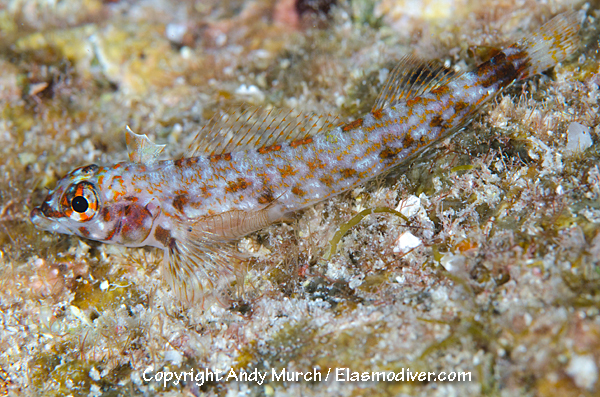 The Lizard Triplefin Blenny (Crocodilichthys gracilis) is a common blenny species from the Eastern Tropical Pacific. 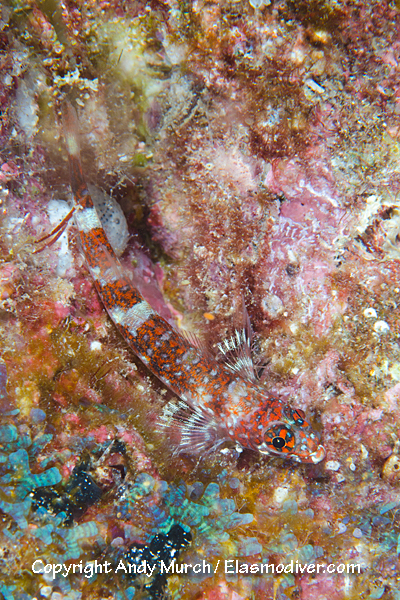 It can be identified by the black bar and preceding white saddle in front of its caudal fin. 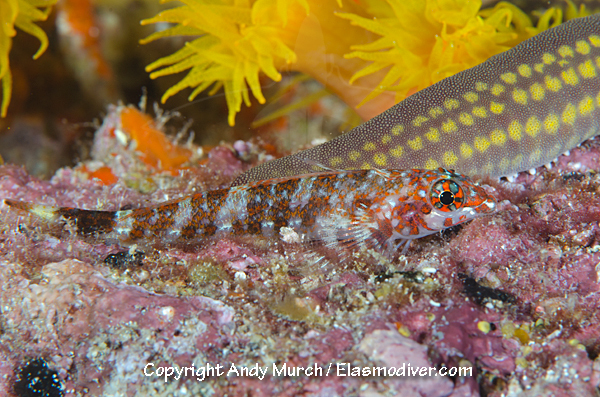 These Lizard Triplefin Blenny pictures are available for commercial licensing. For further information regarding usage please e-mail Elasmodiver. All of the images on elasmodiver.com are copyright protected. 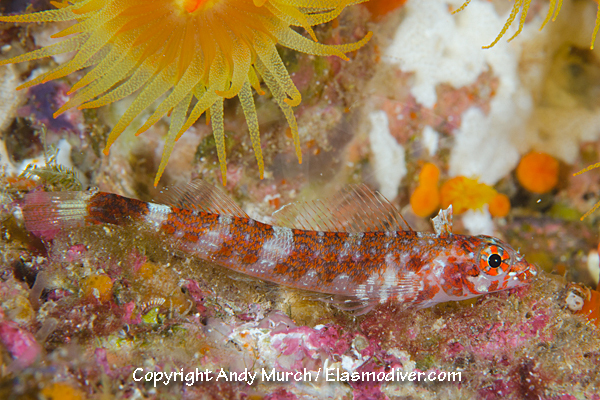 No unauthorized use of these Lizard Triplefin Blenny pictures is permitted. Please contact Elasmodiver for further information.